Don't be beat down by the sun or weighted down by your own sweat. 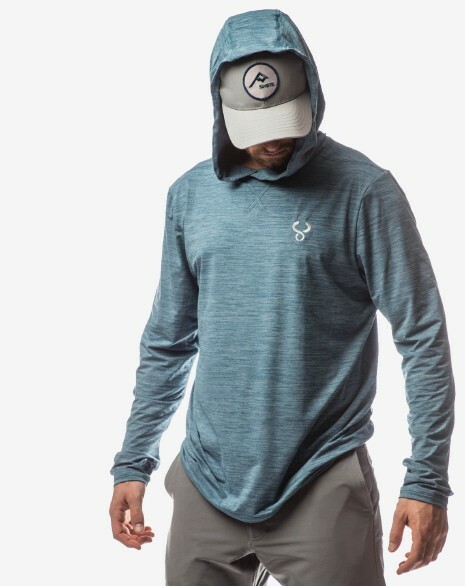 This versatile ultralight hoodie is perfect for offshore fishing, casual lake fishing, running hills in preparation for your big hunt, hitting the weight room, or standing on the sidelines at the youth soccer game. Thumb holes keep sleeves from bunching up and help the backs of hands avoid sneaky sunburns. The comfortable stretch fabric adapts to any body type, does not hold moisture, and feels great against the skin. On a hot summer day or inside the tent back at camp, this ultralight hoodie is what you want on your back.